Situated in the picturesque surroundings of Shahbagh. The Institute of Arts and Crafts has a representative collection of folk art and paintings by artists of Bangladesh. The Institute of Arts and Crafts is also known as the faculty of Fine Arts, University of Dhaka. Exploring the modern and traditional forms of art made by the young artists and also different sculptures might fascinate many and that is what this place is great for. Institute of Arts and Crafts was launched in the year 1948. The institute was known as the art school of Dhaka as it was Dhaka’s first school, which was specialized in arts. Beautiful architectural building named after Lord Curzon. It now houses the Science Faculty of Dhaka University. 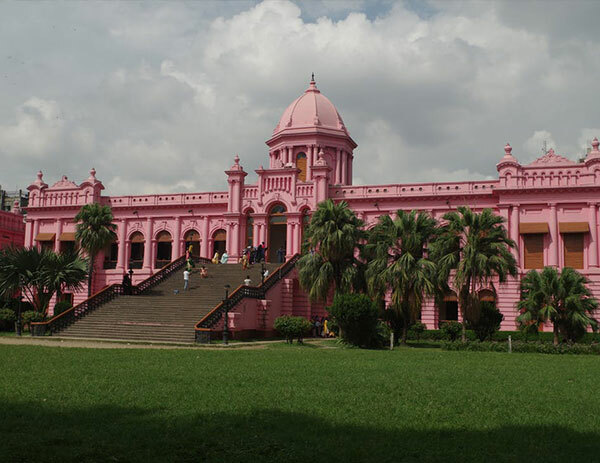 Curzon Hall’s one of the biggest halls of Dhaka University and its unique design and color combination is what it is famous for. The hall was established at the beginning of 1904, which makes it more than a hundred years old. The hall was named after the famous Indian Viceroy, Lord Curzon. As it is situated in the area of Dhaka University, while visiting this place, visiting many other places, which are situated in Dhaka University is a must too and obviously, trying out the street foods of Dhaka University. (Bahadur Shah Park) Built to commemorate the martyrs of the first liberation war (1857-59) against British rule. It was here that the revolting sepoys and their civil compatriots were publicly hanged. Bahadur Shah Park is situated in Shadharghat, which is in the old town of the city. However, previously it was known as Victoria Park, the name was changed in the year 1947. With having more than 2000 visitors every day, it is one of the most visited parks of Dhaka. It is very near to Jagannath University; one of the leading universities of Bangladesh. Being created in the year 1857, it is definitely one of the oldest parks of Dhaka. Originally built as the residence of the British Governor, it illustrates a happy blend of European and Mughal architecture. 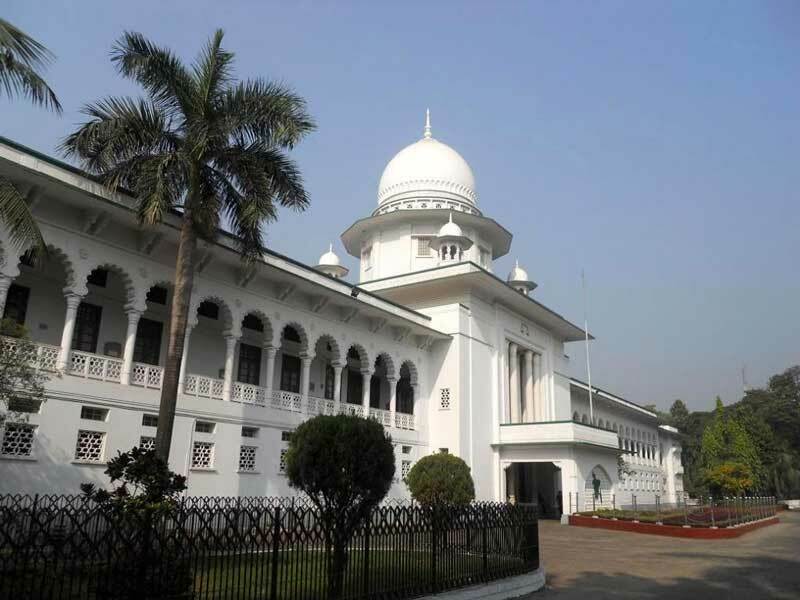 It is located in the VIP road of Dhaka on Qazi Nazrul Islam Avenue. The place is very close from Curzon Hall. The Supreme Court has taken over the control of this building now and divided it into two different parts. The architectural structure of the building is mind blowing and it is worth taking a look at it for at least once, when a tourist visits Dhaka. The monument was built during the beginning of the 20th century. National Zoo is in Mirpur, 20 km. from the center of Dhaka besides the river Turag. Its open 10 am – 5 pm, 7 days a week, where you can see the animals of Bangladesh and some animals from abroad. This Zoo is also popularly known as Mirpur Zoo. Colorful and attractive collections of different local and foreign species of animals and birds including the majestic Royal Bengal Tiger are available here. Botanical Garden is also situated in Mirpur just besides the National Zoo, built on an area of 205 acres of land. Approximately 50,000 plants and trees are there of 1200 species. Main attraction of this garden is rose garden. Approximately 300 species of roses are there in this garden. It is open 7 days a week. If you go to this garden, it is advisable you visit National Zoo at a same time. Baldha Garden is established in old Dhaka named Wari, the unique creation of the late Narendra Narayan Roy, the property owner of Baldha; the year of establishment of this garden was on 1904. This garden has a rich collection of indigenous and exotic plants, which is one of the most exciting attractions for naturalists and tourists. A number of varieties tree are there in this garden. Near about 18,000 plants of 800 species are there in the garden. It is open from 8:00 am-5:00 pm, 7 days a week. A very beautiful mosque of the city is situated at Mahuttuly on Abul Khairat Rd; just west of Armanitola Govt. High School. Architecturally faultless (Mughal style) is a five-dome mosque with hundreds of big and small twinkling stars as surface decorations. The stars have been created by setting pieces of chinaware on white cement. Seen from the front and from far it looks as if shining above the surface of the earth. The inside of it is even more beautiful that the outside, lovely mosaic floor and excellent tiles with many floral patterns set on the walls, are all in complete harmony. The sitara Masjid was built originally with three domes in early 18th century by Mirza Ghulam Pir, a highly respectable Zamindar of Dhaka. Baitul Mukarram Mosque is situated at Purana Paltan east of Bangladesh Secretariat and north of Dhaka Stadium. Largest Mosque in the city, three storied and built after the pattern of the Kaba Sharif. Very beautiful and costly decorations in the interior. Long lawn, garden and rows of fountains to the south and east. The mosque is on a very high platform. Lovely flights of stairs lead to it; from the south, east and north. On the east is a vast veranda, which is also used for prayer and Eid congregation. Below in the ground floor is a shopping center. Dhaka is a city of mosques. Other Prominent Mosques are the seven Domed Mosque (17th century), Star Mosque (18th century), Chawkbazar Mosque and Huseni Dalan Mosque. Dhakeshwari Temple (11th Century) situated at the place where the old part of Dhaka meets the new part. This is the oldest Hindu temple in Dhaka City. The name Dhakeshwari is also associated with the origin of the name Dhaka. Being known as the national temple of Bangladesh, it is indeed one of the most beautiful and largest one too. The place is situated in the Dhakeshwari Road, which is very near from Bakshi Bazar of Old Dhaka. Different events take place in this temple, specially the biggest Hindu festivals. Durga Puja, a crucial festival of Hinduism holds a major celebration in this temple. Armenian Church (1781 A.D.) St. Mary's Cathedral at Ramna, Church of Bangladesh or former Holy Rosary Church (1677A.D.) at Tejgaon. As mentioned above, there are many churches in Bangladesh, amongst them, ST Thomas church is one of the oldest and definitely is the most popular. St Thomas church was built in the year 1821 and it is situated in the Johnson Road of Dhaka, which is situated in the old city of the town. Attending different Christian events, which are held in the church is fun and obviously a crucial place to visit for the travelers.